Jason is the Manager for Instructional Technologies in Information Technology at UNI. He received his BA in Vocal Music Education and Performance from Luther College in 1993 and his MA in Educational Technology from The University of Northern Iowa in 1999. Jason has 5 years experience in K-12 education and is in his 18th year at UNI. 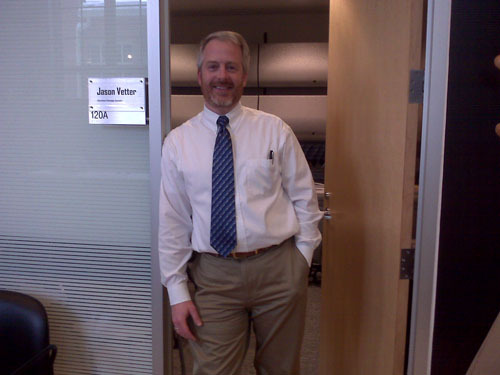 Jason has extensive experience in instructional design and integrating technology into the classroom setting. Jason is certified as a Quality Matters peer reviewer and holds certificates in designing, writing objectives, assessments, use of media and blended environments from that organization. Jason manages the eLearning team as well as the Educational Technologist team. In addition to his university duties, Jason has taught both online and face to face classes for the College of Education over the past seven years.